5 cuts = 26.5 seconds. 8 alternate scenes = 2 minutes and 47 seconds. 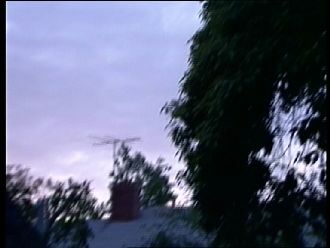 Willie (voice over): This is the way it began that extraordinary night... the night he came! 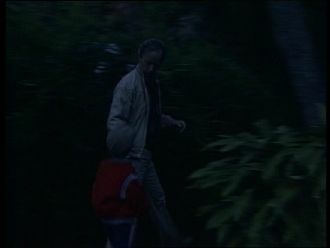 Brian and Willie are walking across the garden, they are headed to the garage. Willie: I'm gonna be in the garage calling Nemboshaba! Brian: Me too! Who's Nemboshaba? Willie: Nemboshaba's my friend in Yugoslavia! They now enter the garage. 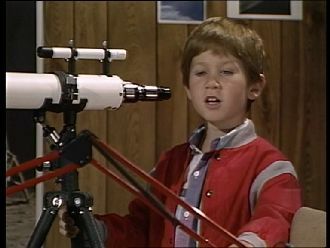 Brian: Dad, can I look through the telescope? 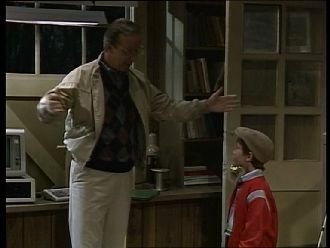 Willie: Of course, my son! Enjoy the cosmos! 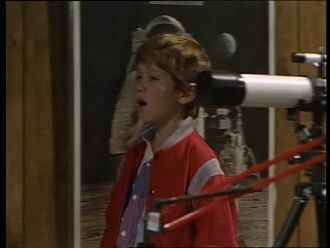 Brians rushes to the telescope while Willie takes a seat at his table. 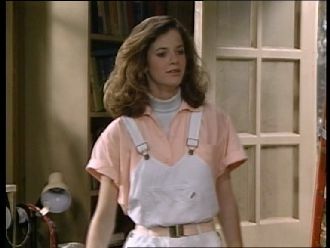 Subsequently, Lynn runs in with Lucky in her arms. Lynn: Dad, can I talk to Natalie after you're through? Lynn: I wanna tell her about my new boyfriend! Willie: New boyfriend? 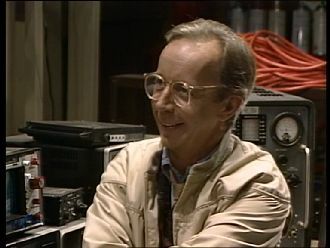 What's his name? Willie: Lash? That's not his real name, is it? 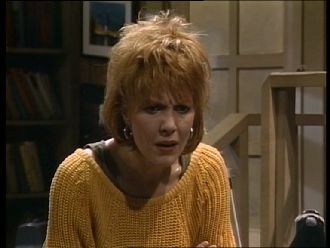 Lynn: You don't approve, do you? Willie: I don't even know Lash! 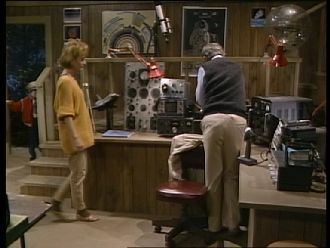 Willie grabs the microphone of his radio and starts talking: This is K726 XAA Los Angeles calling Belgrade! Then Kate enters the garage as well. Katherine: How you guys doing? Lynn: Fine! Dad hates Lash! 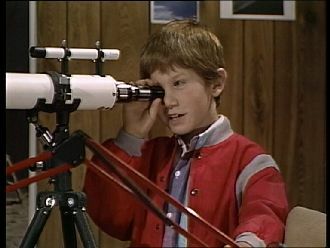 Brian: And I'm looking for Venus! Katherine: Did you find it? 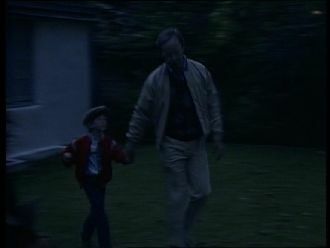 Brian: No, but the neighbors are watching Body Heat again! 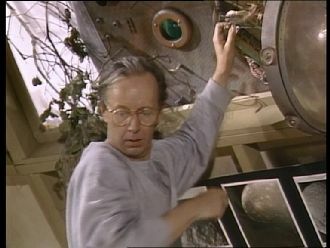 Katherine: Brian... stop spying on people! She closes the blinds but before she does, she takes another peek into the neighbors' window. Katherine: Just get ready for bed! Katherine: Because your didn't eat your mashed potatoes! Brian: I don't like mashed potatoes! Katherine: Come on! Did anyone feed the cat? Lynn: Oh, I'll feed him! 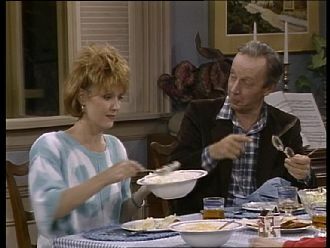 Brian: Feed him my mashed potatoes! Katherine: Lucky eats cat food! Brian: Now I know why we named him Lucky! 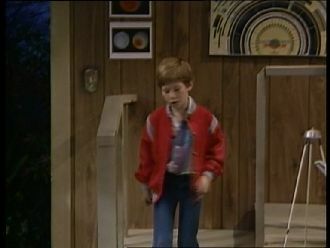 Kate tells Brian to leave the garage, Lynn follows. Katherine: Can I talk to your for a minute? 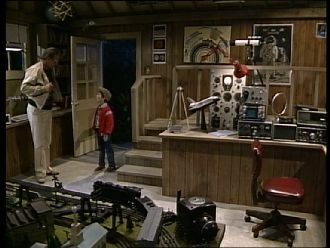 When Willie puts away an electronical device, he gets juiced in the process. He screams, then he gets upset. Willie: Yeah, I guess! 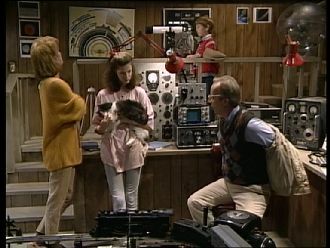 The CB must have crossed circuits with the shortwave! Katherine: You know, it's not easy being a 16-year-old! 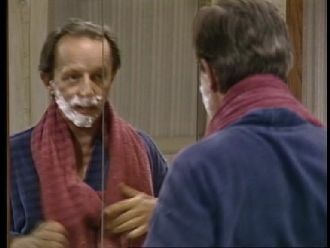 Willie: I know I'm immature sometimes, but, you know, you put so much! Katherine: It was talking about Lynn! 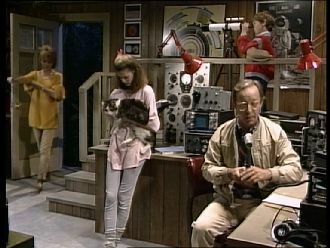 Willie: Lynn! Right! Was there a problem there? Katherine: She thinks you hate her boyfriend! Willie: She's such a bright girl! I'll talk to her right away! 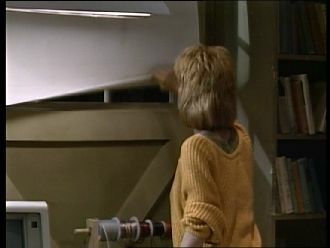 We'll get this thing straightened out, let me just shut this thing off! 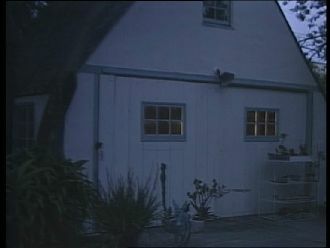 In the US Version, there is a freeze frame of Willie and Kate in the garage right at the beginning, accompanied by Willie's commentary from the off originally from the beginning of the Uncut Version. Not until that comment, the movement in that scene starts. 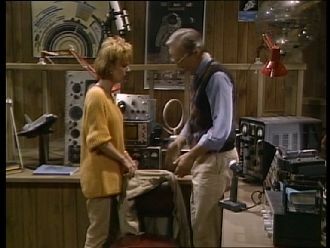 Willie and Kate are looking at the radio that suddenly makes a sound. From now on, the versions are back in sync. 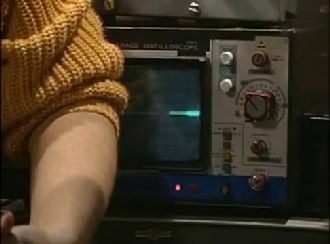 Only the US Version contains a shot of the monitor showing an active signal. The Uncut Version contains a shot of Kate and a subsequent shot of her and Willie. 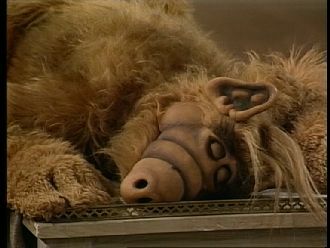 Extended shot of ALF sleeping. Lynn: I can't believe it! Katherine: We've gotta get rid of it! Willie: Absolutely! We don't know anything about it! It could be dangerous! It could be diseased! It could be hostile, or have hostile friends or acquaintances! 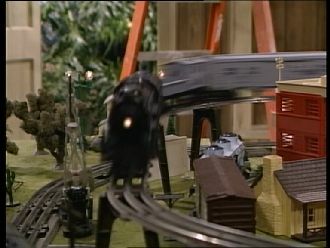 Extended shot of ALF chasing Lynn and Brian. 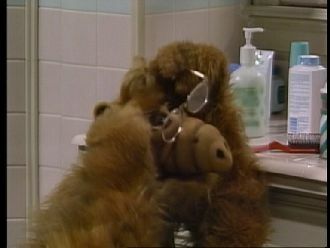 Extended shot of Willie in front of the mirror in the bathroom plus ALF is putting on Willie's glasses. Meanwhile, there is some more dialog. 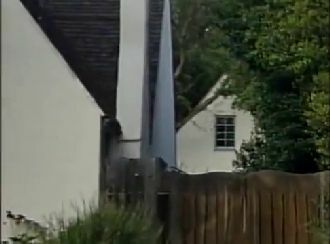 Different exterior shot of the Tanner house. 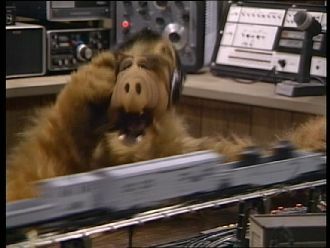 In the German Version, the camera pans in and shows ALF playing with the train while he is listening to the song "Proud Mary" from his walkman. He is singing it as well. 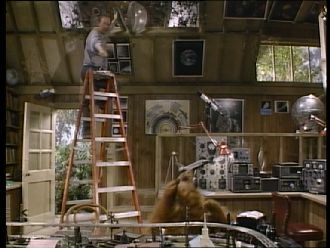 Willie is standing on top of a ladder in order to repair something. 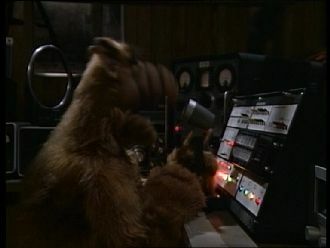 He tells ALF to pass the screwdriver but ALF can't hear him and keeps singing. 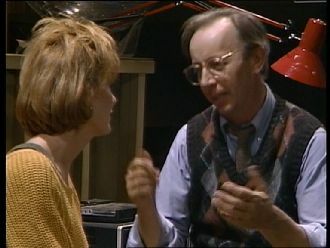 Lynn enters the room and starts smiling when she sees ALF singing. 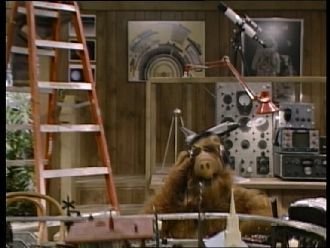 Willie is calling out ALF's name again and asks for the screwdriver one more time. 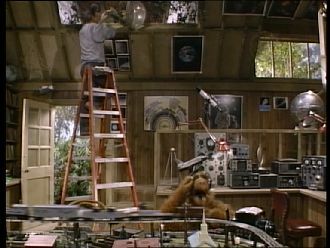 Lynn: Oh, Alf... what are we gonna do with you? 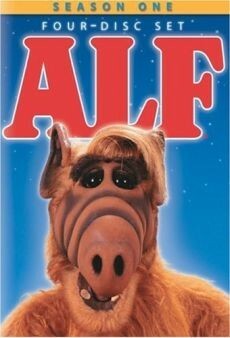 Alf: I guess you'll just have to love me for as long as it lasts! They hug. 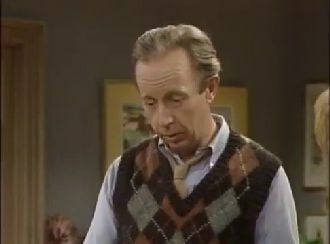 Then ALF looks at Lynn and continues singing "Proud Mary". Lynn joins in while Willie is looking stressed out. 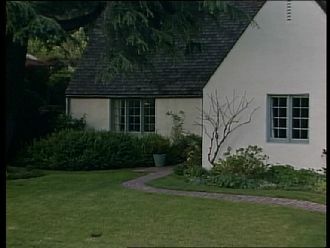 Exterior shot of the Tanner house. The camera zooms in on it. 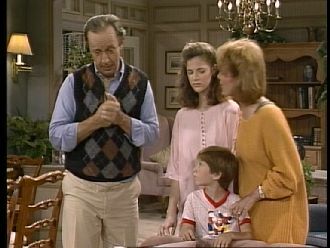 ALF keeps talking for an extended period while Willie and Kate are listening in from behind without ALF noticing. 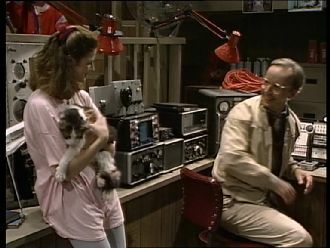 When the Tanners are sneaking out, ALF keeps speaking. He claims to have eaten the cat which makes the Tanners turn around in horror. 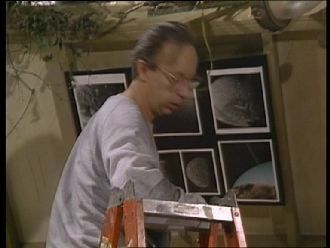 The shot of that is slightly different in either of the versions. 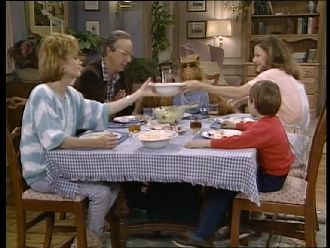 Katherine: More mashed potatoes, please! 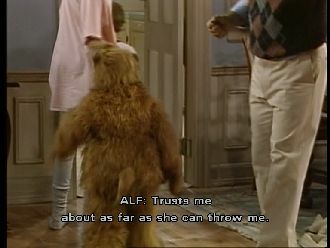 Alf: Lob them over here when you're done with them! I'm getting kind of used to this mushy stuff! 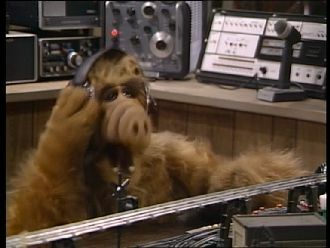 Alf fängt an zu lachen. 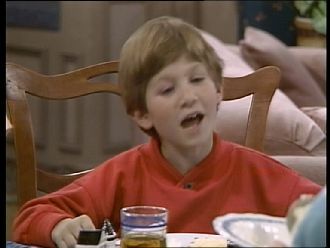 Brian: I like mashed potatoes too now, Mom! 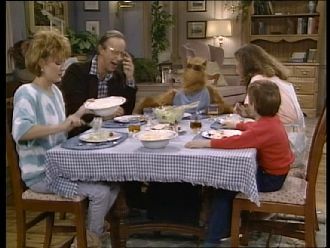 Willie: He likes mashed potatoes now too! 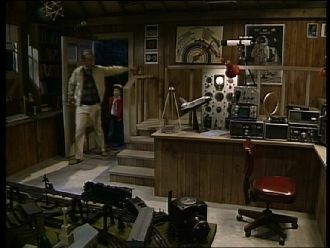 Extended shot of the Tanner house before the transition to the end credits.